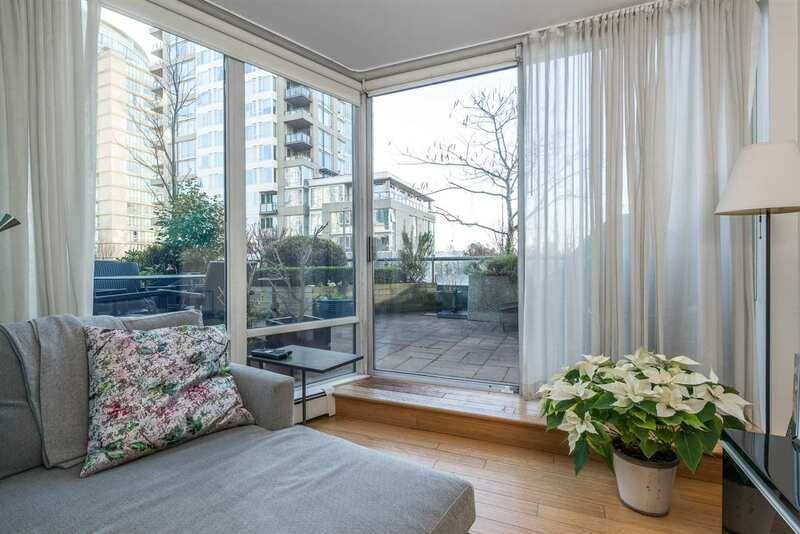 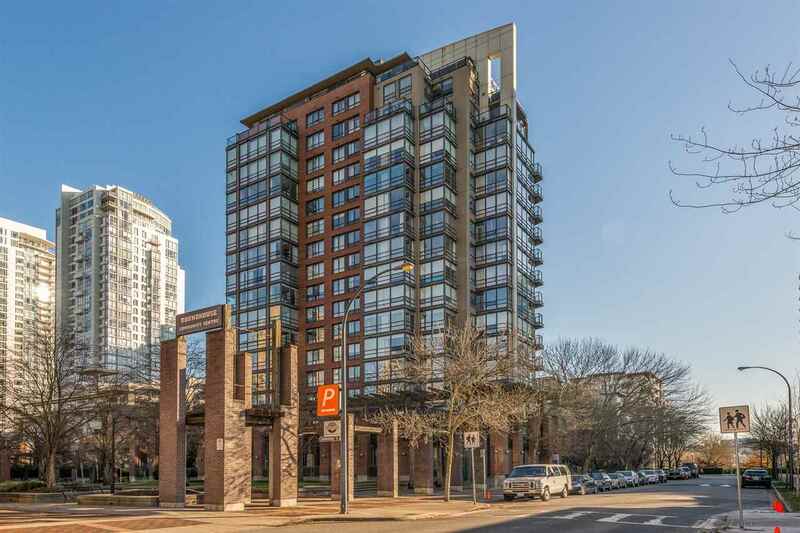 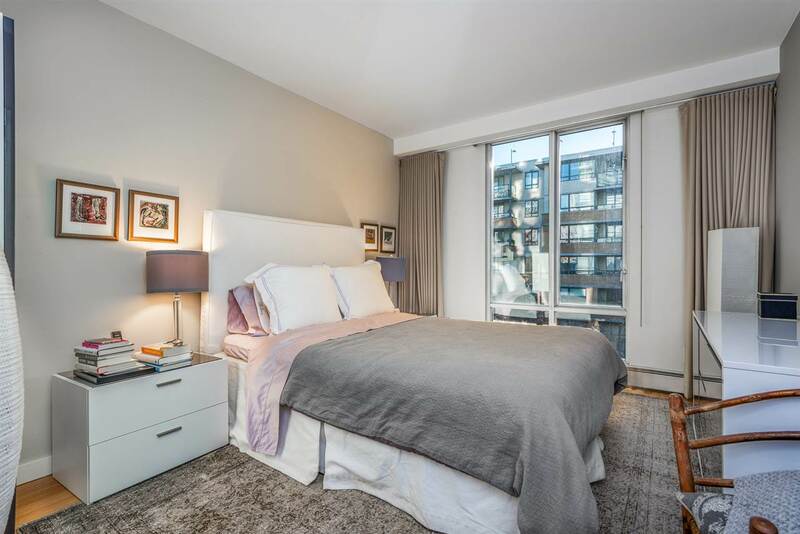 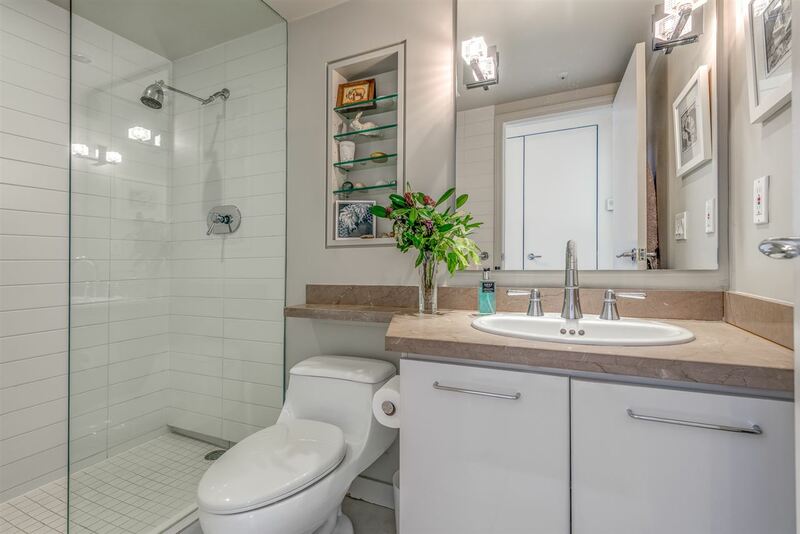 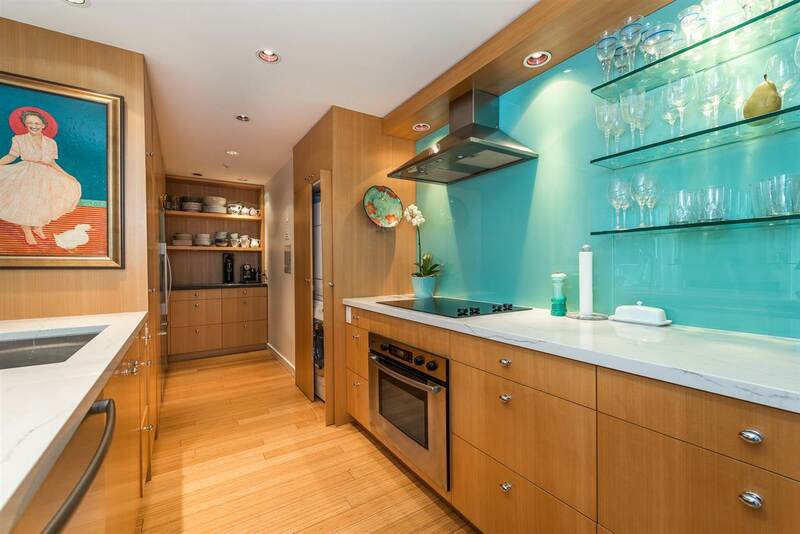 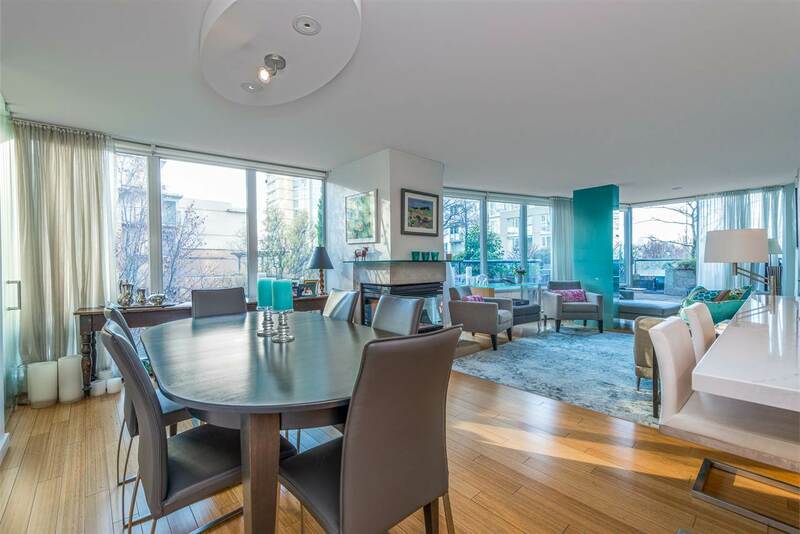 Bright & spacious 2 bed, 2 bath suite in the well managed Concordia II in the heart of Yaletown. 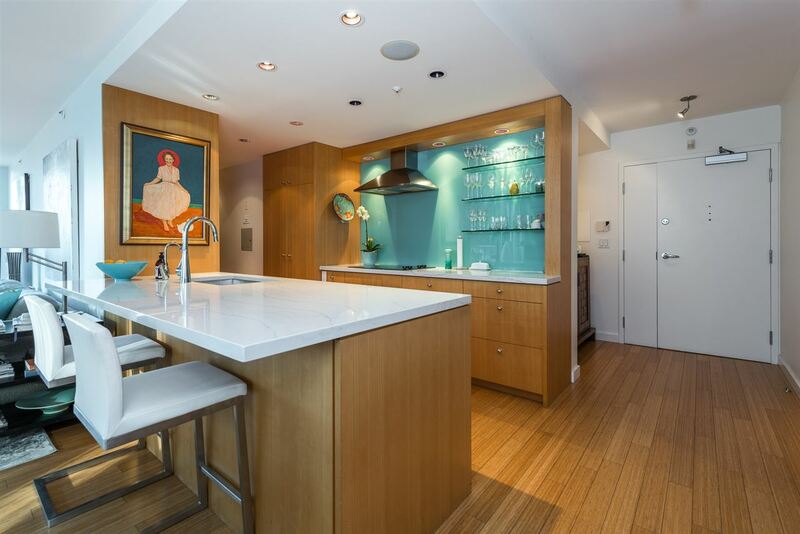 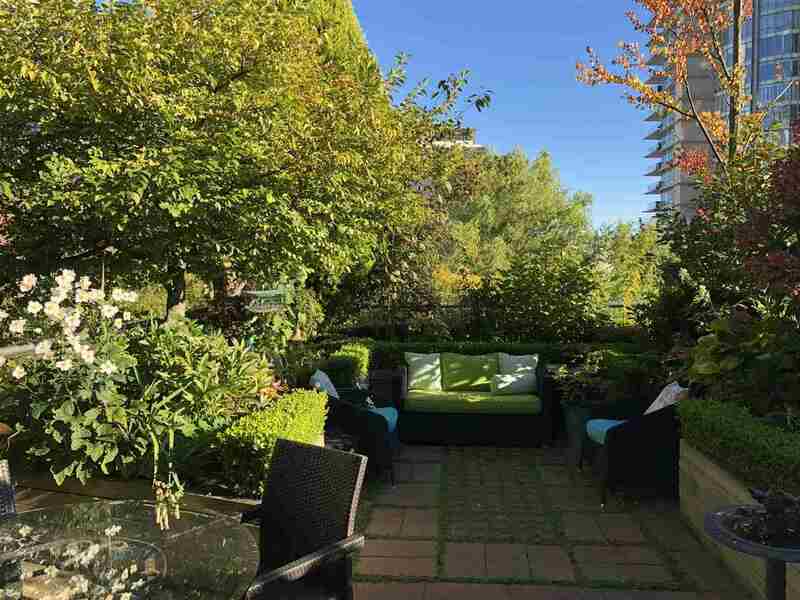 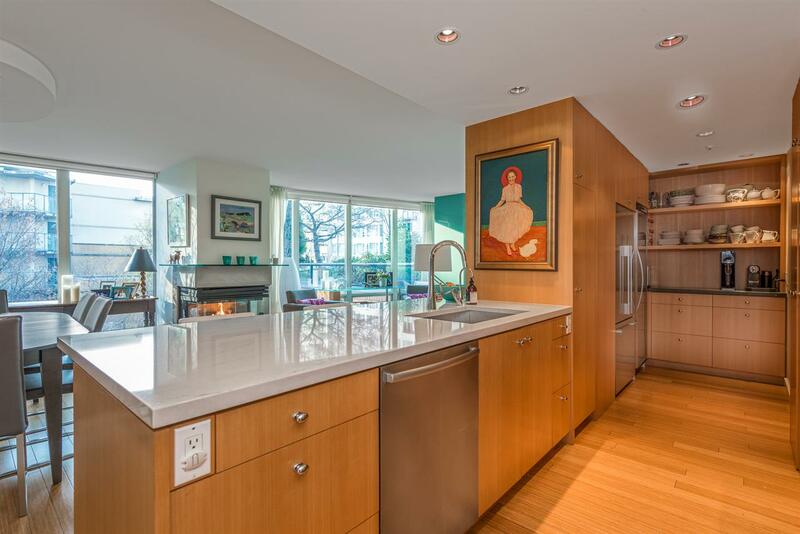 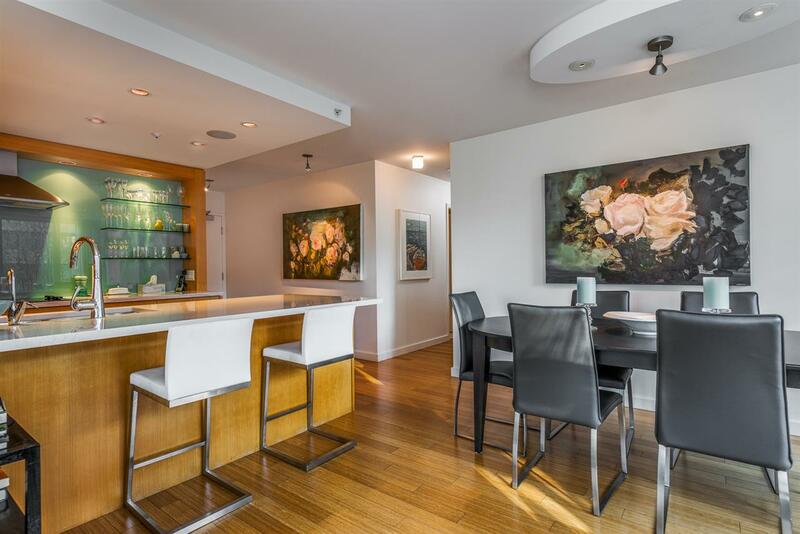 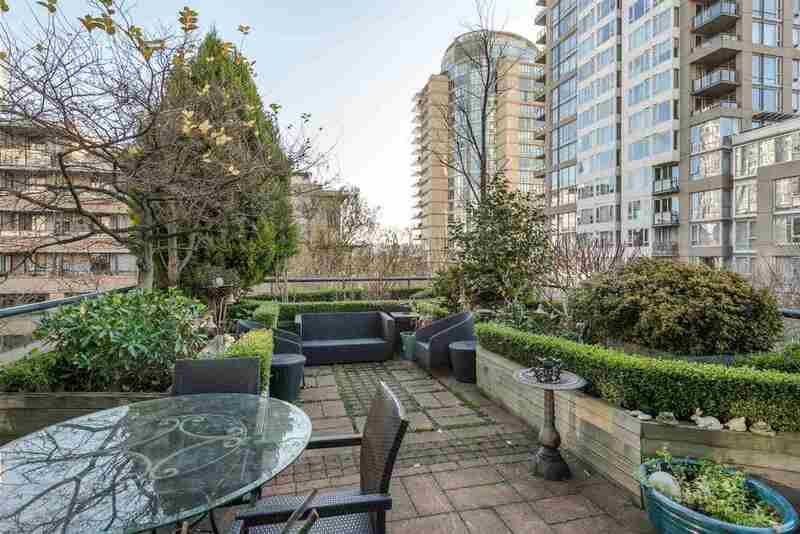 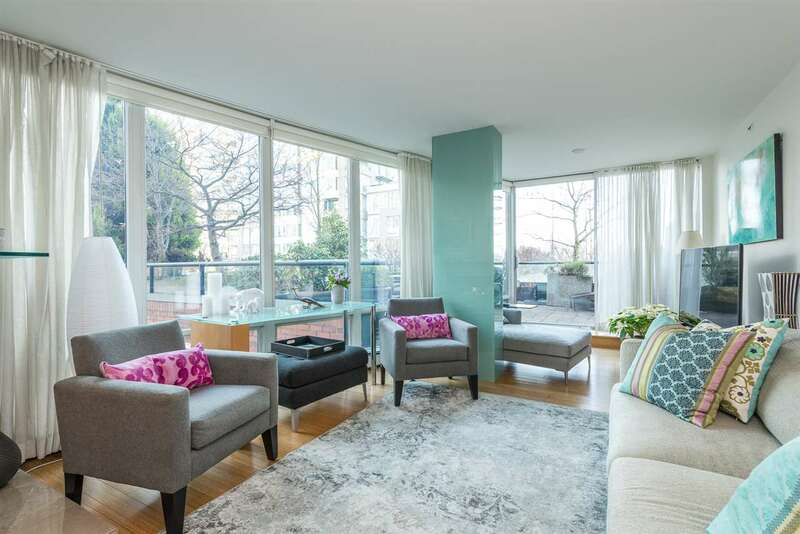 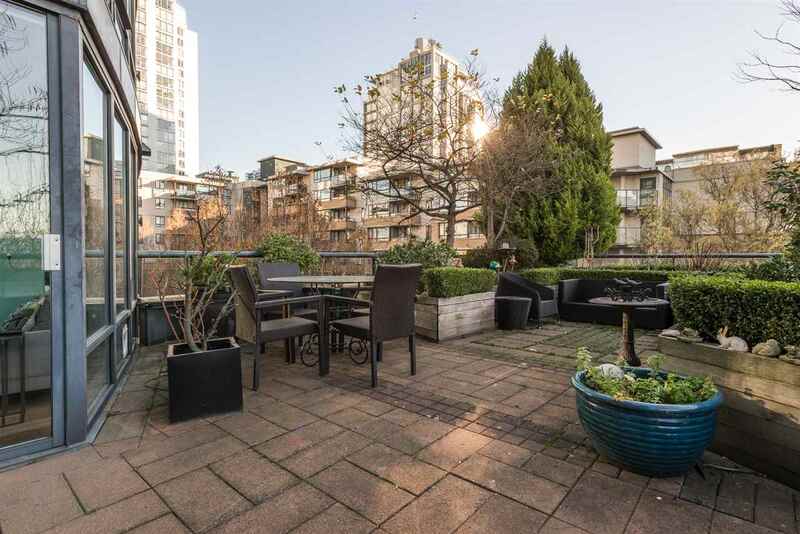 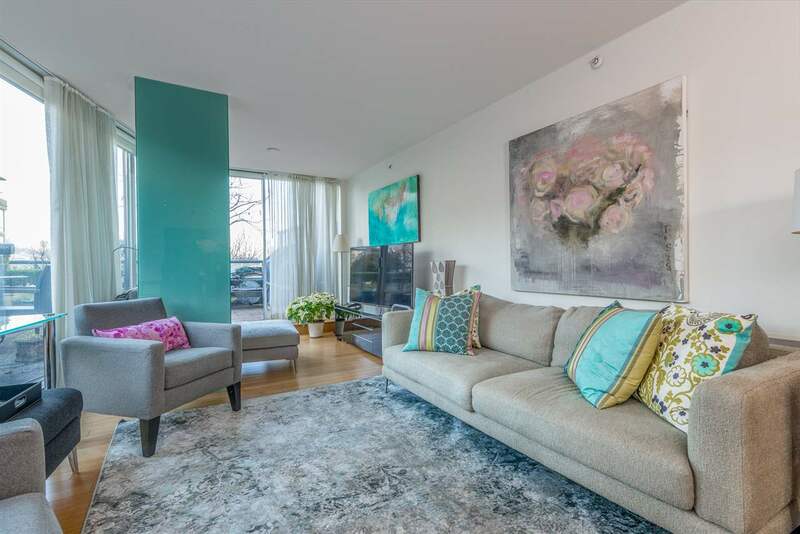 Fully renovated in 2010 for ultimate functionality and style, this corner unit features a 755 sqft deck with SW exposure and lush mature gardens for privacy and tranquility. 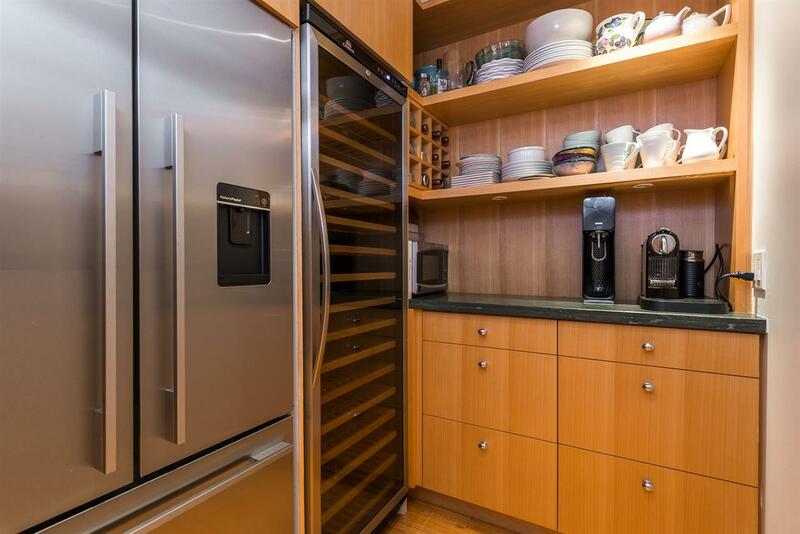 The kitchen boasts quartz countertops, high end appliances including full sized wine fridge, and plenty of cupboard and counter space. 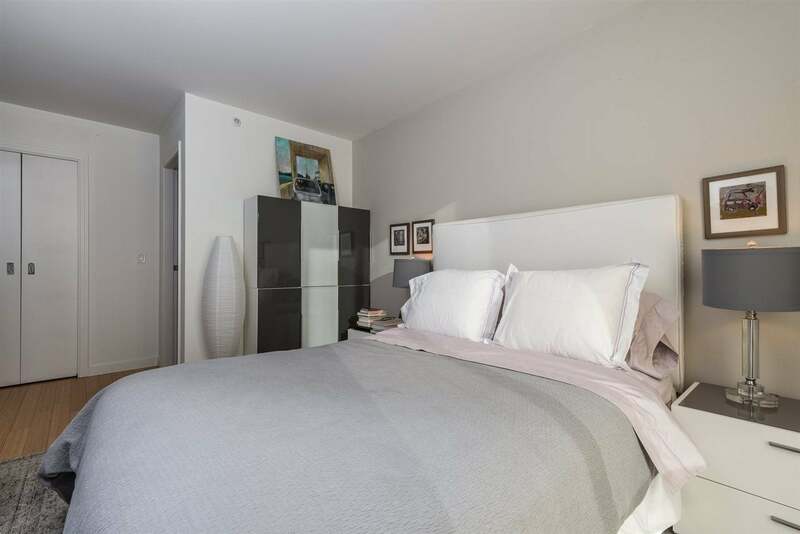 The master bedroom is spacious with ensuite bath and walk-in closet. 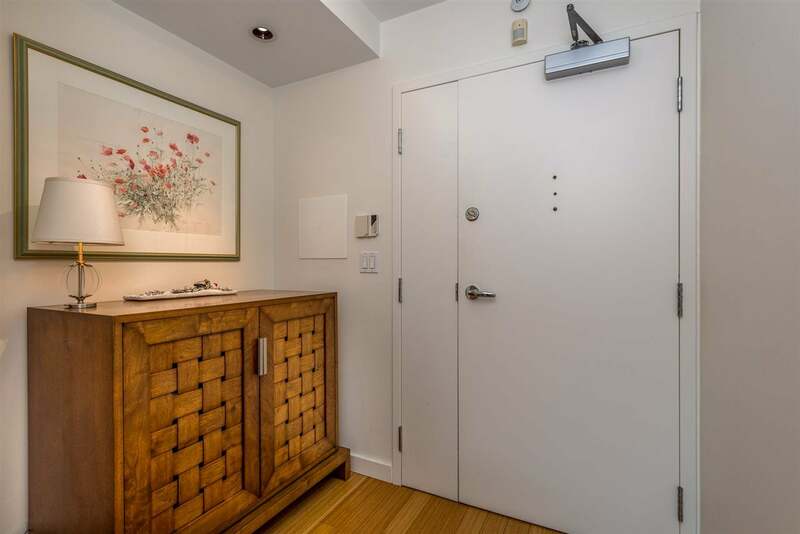 Second bedroom features custom built-in cabinetry and murphy bed. 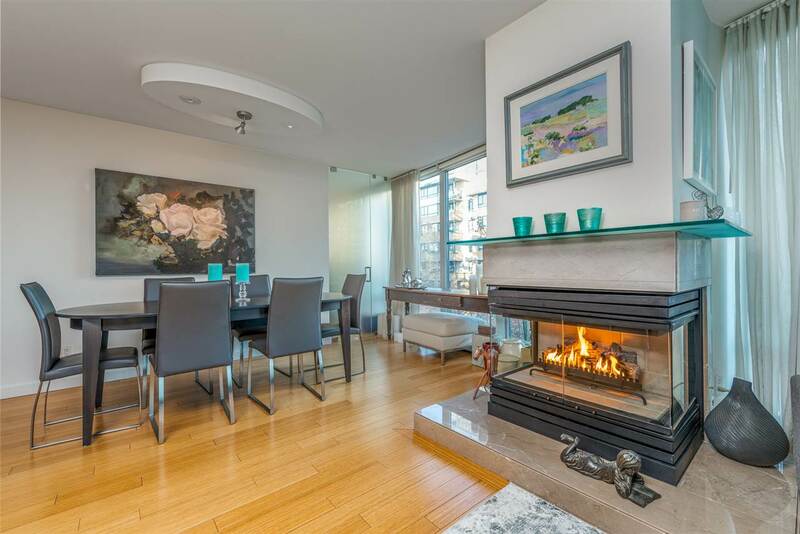 Living and dining areas are separated by an elegant frameless glass fireplace. 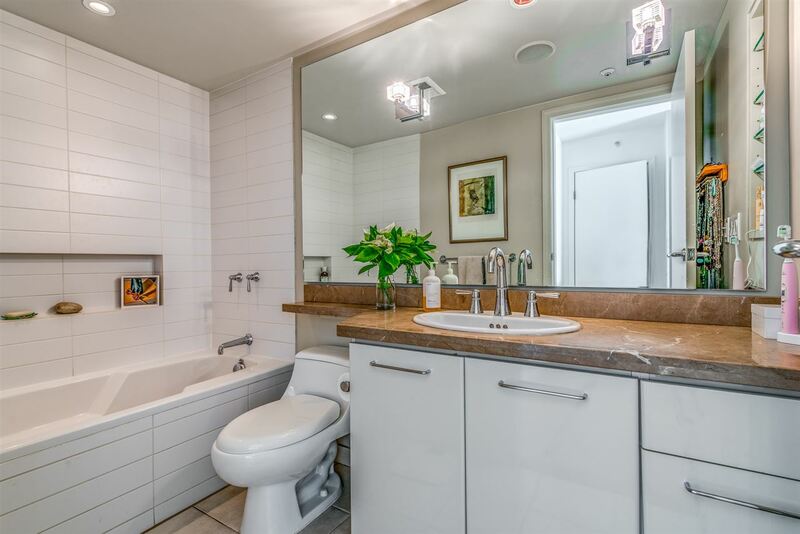 Building features fitness room, indoor pool and hot tub and concierge and is steps from the seawall, fine dining and shopping.